JDS Motoring Ready to Shred Special! JDS Motoring has been doing awesome to help us keep our cars on track. And now they are doing something awesome for all the Club Loose drivers. 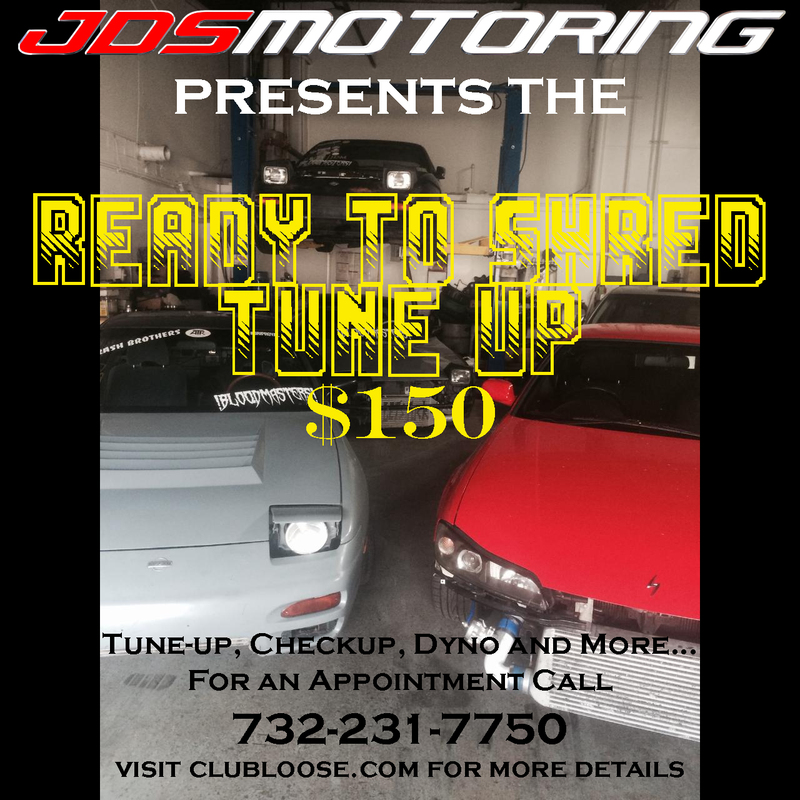 Introducing the JDS Motoring Ready to Shred Tune Up Special! Price will be discounted if you bring your own fluids and filters. JDS will let you know what will be an issue at tech when you get to the track. You will have the option to have them fix any issues they find at an additional price. Car must have a good alignment, no leaks, no other running issues to be eligible to put on the dyno. If it doesn’t, they can take care of that for you. This is the perfect deal for the dudes that work a ton and have a real life and don’t have time to work on their car all night before an event. All you do is call JDS, set up the time, drop the thing off and then you’re ready to rip when you get to the track. It’s awesome. Trust us. Contact JDS at 732-231-7750 to set up an appointment or if you have any specific questions. Make sure to mention the Ready to Shred special when you talk to them. Thanks again to JDS for helping us out and offering this rad deal to all of our drivers.